Co founder/rainmaker @ asterisque technology malaysia sdn. bhd. 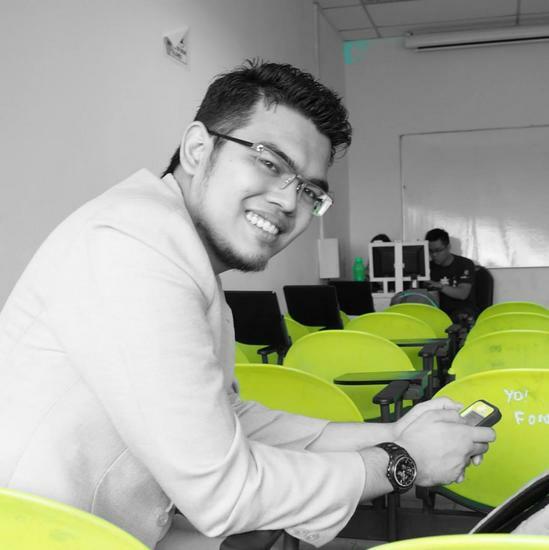 An aspiring entrepreneur, Hanif believes that Malaysia is the Silicon Valley of the ASEAN region. Currently working on Qtix; a new technology which will replace all the queue management system in the government service centre and banks. Hanif believes in efficiency, and the only way to achieve it is by automating certain repetitive task using technology. Asterisque Technology malaysia sdn. bhd. -Creating Qtix, the next generation queue management system. -Won "Frost and Sullivan Malaysian Product Innovation Award". -1 of the 16 Malaysian startup that went for TechInAsia Conference 2015. -1 of the 70 ASEAN startup that is accepted into MaGIC Accelerator Program. -Lead trainer for 1Malaysian Entrepreneur Bootcamp(1MET.org); an initiative under the Malaysian Blue Ocean Strategy(MBOS). -Mentor for Global Startup Youth ASEAN; a satellite event for 1ASEAN Entrepreneurship Summit. -Organiser for Global Startup Battle 2015; an international event by UP Global. -Analysing the Malaysian economic trend in the tech sector. -Reviewing the government policy on technology.